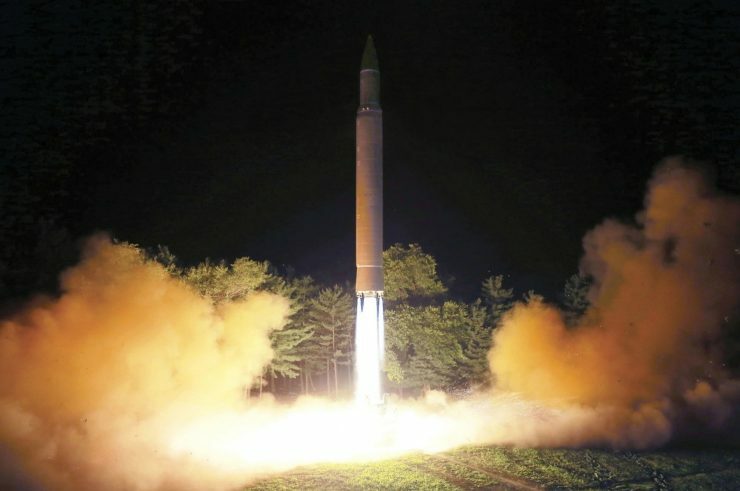 The Treasury Department on Tuesday placed sanctions on Chinese and Russian individuals and firms that it said had conducted business with North Korea in ways that advanced the country’s missile and nuclear weapons program, part of a broad effort by the Trump administration to further isolate the regime. The sanctions against 10 companies and six individuals are designed to disrupt the economic ties that have allowed Pyongyang to continue funding its missile and nuclear program despite strict United Nations sanctions prohibiting it. It was the fifth set of U.S. sanctions related to North Korea this year, and the largest. In a related move, two legal complaints were filed Tuesday by the Justice Department seeking the forfeiture of $11 million from two of the sanctioned companies believed to have been laundering money on behalf of North Korea. The complaints, filed in the U.S. District Court for the District of Columbia, would represent two of the largest seizures of North Korean funds. The Trump administration has been trying to strengthen the economic vise on North Korea in an effort to persuade it to negotiate an end to its nuclear weapons development. Last month, the administration pushed a new round of sanctions against North Korea at the U.N. Security Council. In response, North Korea vowed retaliation “a thousand times over,” and Foreign Minister Ri Yong Ho declared that North Korea would never relinquish its ballistic missile and nuclear programs.